Edmonton got on the board with two and a half minutes remaining in the second period when Pat Hughes scored his sixth. 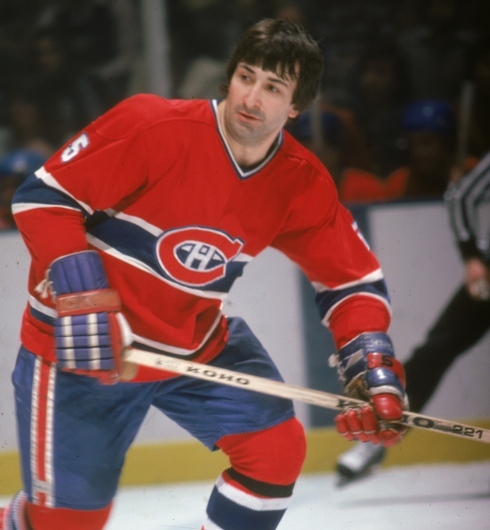 However, about 30 seconds later, the Canadiens reinstated their three-goal lead when Mario Tremblay potted his fifth. That 4-1 scoreline carried over into the third period with Montreal holding a 34-13 shot advantage through those two periods. The Oilers got a big opportunity early in the third to cut the lead in half when Doug Risebrough was called for holding, but the Canadiens’ PK did not break. Then, almost nine minutes into the period, Houle potted his second goal of the game to make it 5-1 and thus ended the night for Andy Moog as he was pulled for backup Grant Fuhr. It was the first time this tournament that Moog was pulled from a game. Montreal added one more just two minutes later through Murray Wilson to make it 6-1 and Messier slammed home a rebound for his 16th of the tournament for the 6-2 final. Edmonton will have a chance to even the series up 1-1 with Game 2 on Wednesday night at 8 pm EST! Again, you can follow along live @UltimateNHLPlay on twitter! This entry was posted in Final, Ultimate NHL Playoff and tagged Andy Moog, Doug Risebrough, Edmonton Oilers, Final, Grant Fuhr, Guy Lafleur, Guy Lapointe, Mario Tremblay, Mark Messier, Montreal Canadiens, Murray Wilson, Pat Hughes, Rejean Houle, Ultimate NHL Playoff. Bookmark the permalink.